The NBA, at its core, is a business, with its 30 franchises all functioning as individual, multi-million dollar companies. Each prioritizes both putting out a winning product and creating profit, with the weight of either priority dependent on the vision of its billionaire owner. But one trait that’s common amongst all NBA franchises is impatience. Players usually only get a few seasons to prove themselves as a invaluable piece before their franchise cuts bait and decides to move in a different direction. Think about it this way: The NBA draft is held every year, and every single first-round pick is assured of a contract. That’s at least 30 new players added into a league that’s maximum player capacity is 450. Do the math. There’s a reason why the average lifespan of a typical NBA player is only about 4.9 years. It’s no surprise that this impatience affects even the top draft picks, despite the fact that teams invest thousands of dollars into scouting college prospects to draft and develop. Look no further than the recent blockbuster deal between the Knicks and the Mavs. 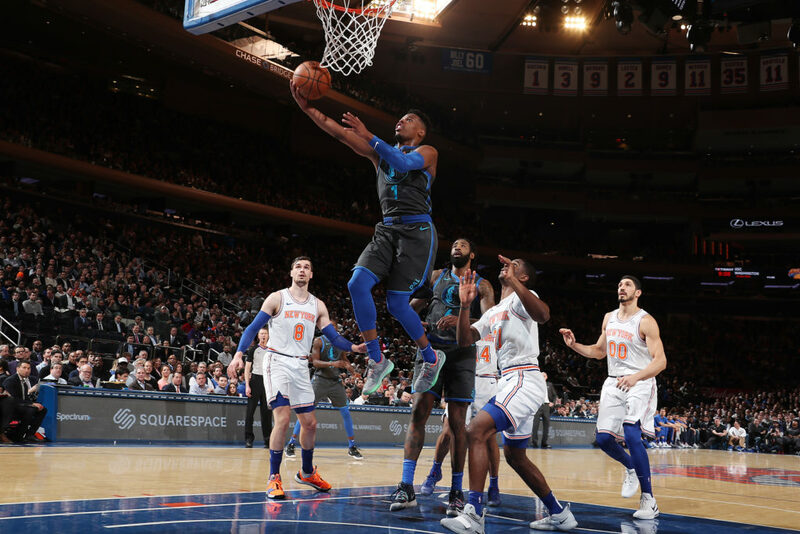 It took Dallas all of 101 games to give up on Dennis Smith Jr., their 9th overall pick from last year who was every know-it-all NBA fan’s pre-draft darling. While it is true that Smith has not had the best start to his career (1.38 Assist to TO Ratio, second to last among starting PGs), it’s not like he’s lost the physical tools that made him a top prospect just a year ago. Remember, he’s a 21-year old playing the most difficult position in the league. On the contrary, there are more than enough supporting documents to show that not all draft picks come even close to their pre-draft projections (see: Kris Dunn, Johnny Flynn). However, it’s important to understand the value of a healthy situation in correlation with the development of a prospect. Take for instance, the Brooklyn Nets. 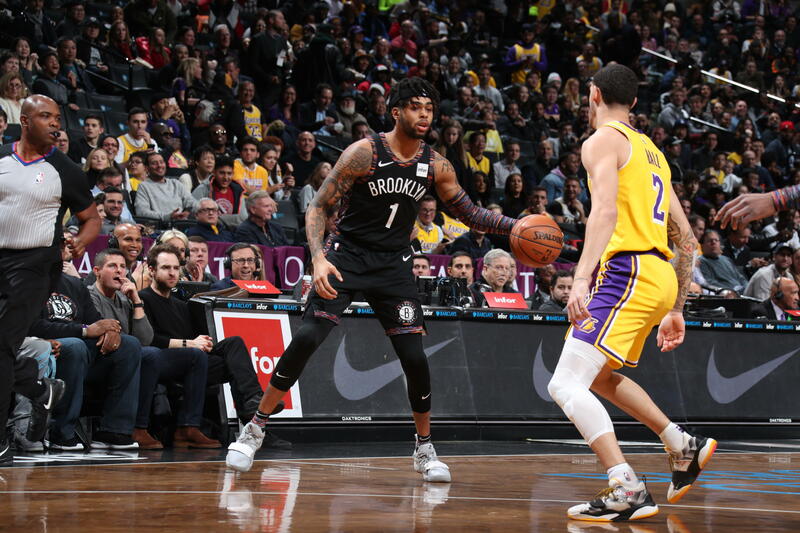 In the 2017 offseason, the Nets took a flier on former LA Lakers 2nd Overall Pick D’Angelo Russell by absorbing Timofey Mozgov’s deal, and shipping Brook Lopez and the 27th pick (Kyle Kuzma) to LA. Russell was an enigmatic figure for the Lakers. At just 19 years of age, he was supposed to become the savior of the dying mega franchise. However, he had to toil through the Kobe Bryant Farewell Tour while simultaneously taking several shots from Head Coach Byron Scott (Go ahead and Google “Byron Scott D’Angelo Russell” and see for yourself). When Russell’s early on-court returns resembled that of an inefficient chucker, the optimism from all fronts quickly dwindled away. There were other, more inexcusable reasons for DLo’s tarnished image within the franchise, but it was the totality that gave the Lakers the window to cut their losses and move on with another second overall pick and potential star point guard just two years after drafting Russell. Fast forward to the present, and D’Angelo has just been selected as an All-Star injury replacement in the East, despite still being on his rookie deal. The Ringer’s Dan Devine took a deep dive into Russell’s stark improvement this season, one that’s seen him average nearly 20 points and 7 assists for a competent Brooklyn Nets team. DLo needed a change of scenery. Jumping to one of the most miserable franchises of the past decade gave him all the freedom he needed to freely go through the difficulties of player development. Aside from DLo, there have been a bunch of lottery picks labelled busts in this season alone that have resurrected and thrived in different situations. Emmanuel Mudiay has actually looked like a capable NBA player with the Knicks, while teammate Noah Vonleh seems to have found a niche as an Ed Davis-type player. Jahlil Okafor, who was the pick made immediately after D’Angelo Russell, has also been one of the feel good stories of the season. He too faced maturity and inefficiency concerns during his time under The Process in Philly. 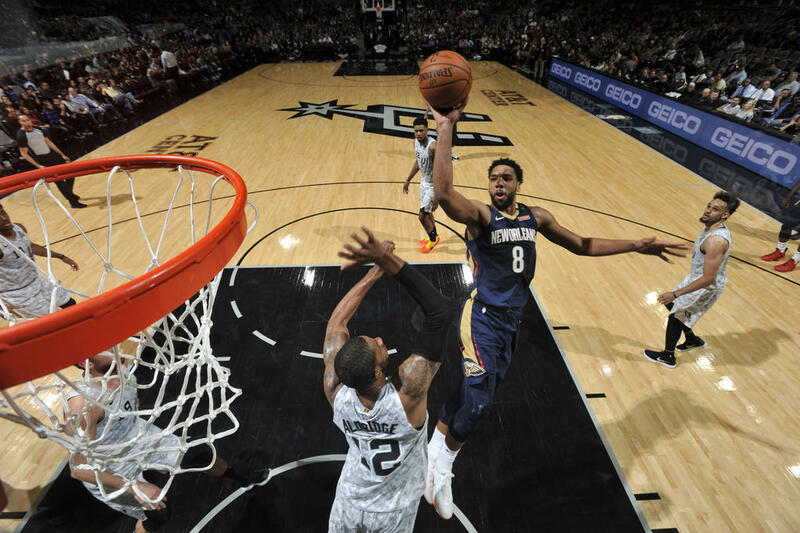 But Okafor has since slimmed down, moved away from the toxicity of a big market, and taken advantage of the opportunity that’s been given to him since Anthony Davis went down. In the last six games, he’s averaged 20.0 points, 10.5 rebounds and 2.3 blocks, and may have just saved his NBA career in that span. But perhaps one of the biggest success stories amidst the NBA’s trend of impatience was that of the Boston Celtics’ 1997 3rd Overall Pick. He was drafted under then-Celtics President and Coach Rick Pitino, who was not the biggest fan of the young rookie, and shipped him off to Toronto after just 51 underwhelming games. He’d spend his next two seasons battling injuries and jumping from team to team. By Year 3, he had already been labeled a bust, never eclipsing over 14 points or 40% shooting in any of his first three seasons. And by his sixth season in the league, he was already on a journeyman’s path after signing with his fifth NBA team. 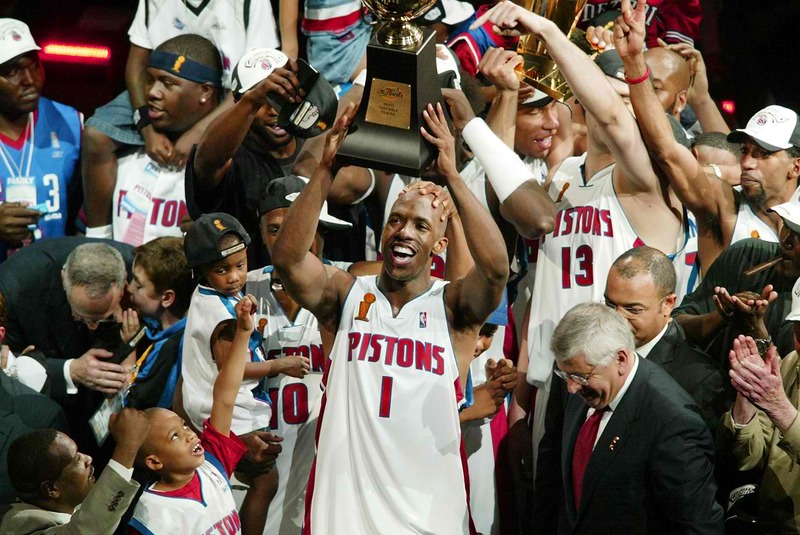 Two years later, he led that team, the Detroit Pistons, to an NBA Championship, while winning Finals MVP in the process. Yup, that bust is a five-time All-Star, three-time All NBA Selection and the 2004 Finals MVP. Mr. Big Shot. It’s success stories like that of Billups, Russell and Okafor that remind everyone of the weight that coaching, team culture, and stylistic fit have on the development of young prospects. It’s cliche to say that talent isn’t everything, and that hardwork, perseverance and grit are actually more important to success. But at the same time, we have to understand that success or failure in the NBA may not be entirely defined by an individual’s own doing. Players are involuntarily drafted into their respective franchises, and thrust into professional basketball for the first time as a product of that system. So the next time your favorite team’s young franchise prospect doesn’t come out of the gates looking like Luka Doncic, learn to take a step back and analyze the situation. It might be a matter of just changing the way that players is taught and treated. Teams and fan bases alike need to give time for these kids to adjust to the steep learning curve of life as a professional. Or else you may miss out on the greatness that lies beyond the wall of growing pains.